Have you ever wondered what foods should be on your diabetic food list? Ideally these foods will have a low glycemic index, while providing the nutrients you need. Glycemic index (GI) looks at the impact of a food on your blood sugar. Foods are characterized as having a low, medium or high GI. When you eat a diet with a low glycemic index, you will hopefully get improved diabetes control. Eating beans daily may just improve your A1c. A study published in JAMA internal Medicine demonstrated that patients consuming at least a cup of beans daily for 3 months reduce A1c levels by half a point and even decreased cardiovascular risk through lowering of blood pressure. Low GI foods like beans are digested slowly and raise blood sugar levels slowly. High GI foods (think rice, potatoes and other starches) do just the opposite. Alternatively, the benefit may be due to high fiber rather than the low GI. Either way, other than being a little gassy, eating beans may improve your diabetes control and certainly will not hurt. Berries are high in fiber, vitamin c, and folic acid. It does not really matter what kind. Blueberries, strawberries or others are all packed with benefits and are low in carbohydrates (also a low GI). Investigators in another study found that patients taking foods with a high flavonoid content (e.g berries along with chocolate and wine) had lower insulin resistance, improved regulation of blood sugar, and lower levels of inflammation. What is not clear from the current research is exactly how much, how often, or in what proportion berries and other foods containing flavonoids should be consumed for optimal glycemic management. For now it seems reasonable to to include berries as part of a well balanced diet. One of my favorite things about growing up in New Orleans were the thick meaty juicy red tomatoes that you can get there every summer. Tomatoes are low carb, low cal and contain the antioxidant lycopene that is thought to protect against both heart disease and prostate cancer. 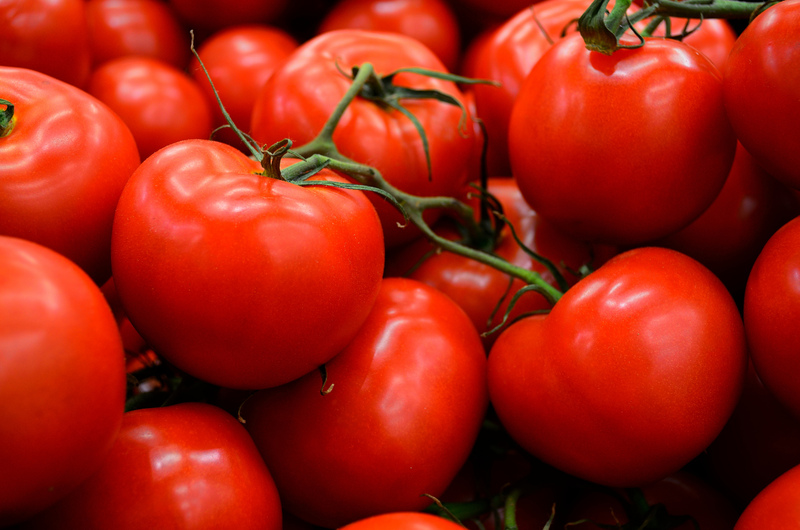 Tomatoes contain vitamin C, vitamin A, potassium, and fiber. Tomatoes also are a very low GI food. Like the other foods mentioned, most green, leafy vegetables have a low GI. In a UK study that looked at more than 200,000 people, increasing green leafy vegetable intake by one and a half cups per day reduced the risk of developing type 2 diabetes by 14%. Green leafy vegetables contain not only high levels of antioxidants, but foods such as spinach are also rich in magnesium. These foods have a low GI and are low in calories so you do not need to worry about eating too much. In the study that demonstrated this benefit, a mixture of unsalted and mostly raw almonds, pistachios, walnuts, pecans, hazelnuts, peanuts, cashews, and macadamias were given to participants. Many patients will ask me if they can just take supplements of the chemicals that are thought to provide the benefits rather than take in these 5 diabetes super foods. Several clinical trials In the last several years that have taken this approach have not produced favorable results. I think you are much better discussing with your doctor or nutritionist what foods you should be on your diabetic food list and take the real foods rather than a supplement of what we think the beneficial compound is. ‘What is insulin resistance’ is a common question among patients newly diagnosed with diabetes or pre-diabetes. In this condition, your body still produces insulin, but it is not effective. This results in elevated blood glucose levels. In most patients, insulin resistance pre-dates an actual diagnosis of diabetes or pre-diabetes. In fact, most patients will have insulin resistance for years before being diagnosed with pre-diabates or diabetes. What Is Going On In The Body When I Have Insulin Resistance? When you develop insulin resistance, cells in your body do not assist in uptake of blood glucose into muscle, fat, and other organs from the blood stream. Your body progressively requires higher insulin levels to get glucose from the bloodstream and into cells and organs that wish to use glucose for fuel. Insulin is produced in the pancreas by beta cells. Blood glucose remains normal until the increased insulin levels are able to no longer counter act the insulin resistance or the beta cells cannot produce enough insulin to keep the bloodstream glucose normal.Over time the end result is elevate blood glucose levels, pre-diabetes, and then diabetes. Obesity. Excess body fat is hypothesized to cause insulin resistance. Fat around the waist and belly fat are particularly problematic. Increased waist circumference and fat around the belly are associated with the production of hormones that increase insulin resistance. Increased waist circumference and belly fat are also associated with chronic inflammation that can be damaging to the body over long periods of time. Inactivity. Inactivity has been shown in research studies to be associated with insulin resistance. Normally, muscles use stored glucose for energy and then take in more glucose from the blood stream. In fact, one of the reasons physical activity is good for you is that exercise makes muscles more sensitive to insulin. Poor sleep. Sleep problems such as sleep apnea increase risk of obesity and insulin resistance. This is especially noted amongst night shift workers. Genetics. Unlike the previously mentioned causes, you cannot do anything about your genetic risk. If your mom, dad, brother or sister have insulin resistance, you are more likely to develop insulin resistance. What Can I Do About Insulin Resistance? Change your lifestyle. Beginning an exercise program can make dramatic improvements. 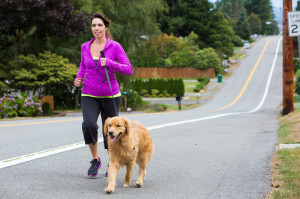 While many people shy away from exercise because of perceived barriers, walking for for as little as 30 minutes per day most days of the week can bring significant benefits. If you do this you will not only burn more calories, but also likely decrease caloric intake and fat. In the Diabetes Prevention Program, a federally funded program that looked to prevent diabetes in high risk individuals, patients losing 15 pounds reduced their risk of developing diabetes by 58% over a 3 year time frame. Metformin. While not as successful as modifying risk factors, patients receiving metformin plus standard info about physical activity and diet decreased their risk of developing diabetes by 31% over a 3 year time frame. Reduce risk. Insulin resistance increases your risk of cardiovascular disease. Not surprisingly, it is important to treat hypertension and high cholesterol in patients with insulin resistance. Additionally, smoking cessation is important in decreasing your risk of heart disease. What Is Insulin Resistance?. National Institute of Diabetes and Digestive and Kidney Diseases (NIDDK), National Institutes of Health (NIH). Accessed September 10, 2013. Weir, Gordon and Bonner-Weir, Susan. “Five Stages of Evolving Beta-Cell Dysfunction During Progression to Diabetes.” Diabetes 53 (2004): S16-S21. How Well Are Doctors Communicating With Patients Today? Your problems and concerns will be more directly addressed. You will be more satisfied with your diabetes care. Your instructions will make more sense and you will have opportunity to ask questions. You will achieve more success with behavioral change such as increasing exercise or quitting smoking. You will have less anxiety about your diabetes. Doctors can do many things to make you feel comfortable and improve communication with patients. How many of the following does your doctor use regularly? The more of these skills they demonstrate when interacting with you, the better their communication skills. Make eye contact with you and speak directly to you throughout the office visit? Encourage you to explain your diabetes problems and concerns in detail? Talk to you about your perception of your diabetes control and symptoms? 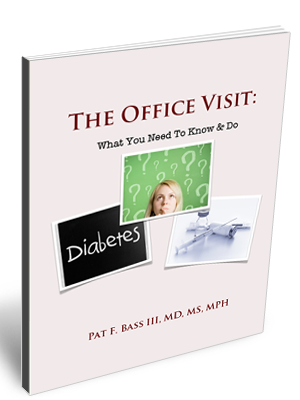 When your doctor asks these things it will help you better communicate your diabetes concerns. 2. In communicating with patients, is your doctor an active listener? Hearing: When communicating with patients, does your doctor pay close attention to what you are saying? Interpretation: Does your doctor confirm what they hear so they know they understand? Evaluation: Does your doctor ask questions about what you said? Respond: Does you doctor express, either through words or non-verbal cues that what was said matters and that they will address it? Do you know how long the average physician in the U.S. allows a patient to speak before interrupting? Less than 1 minute from most surveys. In communicating with patients, a sign that your diabetes doctor is a good communicator is if the let you finish speaking or let get out all the information you want to say before interrupting. 4. Summarizes your main points. If your diabetes doctor periodically summarizes to make sure they understand what you are saying, chances are your doctor is better than average in communicating with patients. Your doctor may say something like “so for the last 3 weeks you have” … This gives you the opportunity to make sure your diabetes doctor heard what you were saying and to correct any mistakes. 5. In communicating with patients, does your diabetes doctor ask about how your are living with diabetes? Your diabetes care involves more than just the blood glucose values and does of your medication. If the social and daily living aspects of your diabetes are not addressed, your diabetes will not be under optimal control. Doctors receive years of training and have a wealth of knowledge to give, but doctors who are netter than their peers at communicating with patients will also check for understanding from their patients. For example, your doctor may ask you to repeat back to them the side effects of a medicine are or what steps will happen as part of a treatment plan. 7. Uses non-verbal communication techniques. To improve communication with patients, non-verbal skills are really important. If your doctor does these well, you may not even notice. More likely, you will get a sense that your doctor is a poor communicator if your doctor does these poorly. For example, when your doctor leans toward you while maintaining direct eye contact, they are using their body language to convey concern about what you are saying. What do you think the following say about doctor patient communication? Has this ever happened to you? How does it make you feel? Does your doctor sit down at your level and talk with you, or do they just ask questions and type into a computer screen? Does your doctor allow them-self to be paged and interrupted during your visit? Non-verbal skills can improve communication with patients or leave a patient feelining like they have not been heard. 8. Seeks your input in developing your diabetes treatment plan. Have you ever been to see a doctor, have them ask you a bunch of question, and then receive a prescription and the doctor is gone? Doctors who do this will also be surprised if you return to see them and the treatment has not had expected results. Actively involved patients are not only more satisfied, but they also are more successful. This may be because patients who actively participate in the development of a treatment plan are more likely to follow the treatment plan. While it is very easy for your doctor to tell you to eat better, drink less soda, or quit smoking, it is much more difficult for your doctor to figure out your perspective and adapt your beliefs to a diabetes treatment plan. If your doctor takes this extra step, your doctor is certainly more effective in communicating with patients. If you are thinking about changing doctors, ask other patients question about how their doctor formulates a treatment plan with them. 9. Is your doctor empathetic? Doctors who express empathy are much more appreciated bu their patients than those who do not. Statements like “It must have been really scary to when your child’s glucose was so low” demonstrate your doctor cares about diabetes affects you. Such statements, even if your doctor has incorrectly understood what happened, show your doctor’s concern of how diabetes is affecting you. 10. Persuades rather than tells you what to do. The decision to follow your doctor’s advice is yours alone, and you are unlikely to do anything just because your doctor tells you to. Doctors who are better at communicating with patients will present plans for diagnosis and treatment as options. The idea is that while your doctor can recommend, the ultimate decision is up to you. What do you think? Can you think of any other factors that demonstrate a doctor is a good communicator? Gordon GH. Defining The Skills Underlying Communication Competence. Seminars In Medical Practice 2002; 21-28. Maguire P, Pitceathly C. Key Communication Skills And How To Acquire Them. BMJ 2002;325:697–700. Do You Know The ABCs of Diabetes? The HbA1C is a significant part of your diabetes plan. The HbA1C blood test helps you monitor how well your blood sugar is controlled. In terms of diabetes basics, the HbA1C measures your average blood sugar over the last 2-3 months. Your doctor will check your HbA1C at least 2 times per year. The lower your HbA1C the lower your risk of complications from diabetes. The HbA1C test will form the basics of diabetes monitoring for your long term control. Depending on your risk factors, you may need to be taking aspirin. Not every diabetic needs to be on aspirin as in the past. The more risk factors you have the more likely you may need an aspirin a day. What Should My A1C Be? Should I Be Taking An Aspirin? Your doctor should measure your blood pressure at every visit. You can also check your blood pressure at home with simple monitoring devices or at many local places such as a pharmacy. If you have diabetes, you are more likely to have an elevated cholesterol. Your cholesterol levels are another important part of the ABCs of of diabetes. Elevated cholesterol increases your risk of heart attack and stroke. Treatment of elevated cholesterol in diabetics will attempt to lower your LDL or ‘bad’ cholesterol and elevate your HDL or ‘good cholesterol. Additionally, if your triglycerides are elevated, your doctor will likely try to lower this as well. • Your goal LDL should be less than 100 mg/ dl. • Your goal for triglycerides should be less than 150 mg/dl. • Your goal HDL cholesterol should be > 40 mg/dl. Knowing your cholesterol and how you can manage it is another key to preventing complications and understanding the basics of diabetes. Patients often want a pill to fix their problems, but education is one of the most important diabetes ABCs. Appropriate education is essential to prevent diabetes complications. Diabetes requires significant amounts of self management to get your diabetes under good control. The only way to accomplish this is to arm yourself with appropriate knowledge. Through education you will learn how your diet and activity lead to changes in your diabetes control. A diabetic educator is a person that has had significant training in the prevention and treatment of diabetes. This person can provide you with self-management skills and provide you with support as you begin your diabetes ABCs. This letter in the diabetes ABCs reminds you to get your eye exam to prevent diabetes complications of the eye such as blindness. Diabetes is one of the leading causes of blindness in the U.S. and is totally preventable with good diabetic care and regular eye exams. The type of diabetes you have will determine the frequency and when you should have your first diabetes eye exam. If you have type 1 diabetes, you need to have a dilated eye exam 3-5 years after your initial diagnosis, while patients with type 2 diabetes should see the eye doctor shortly after being diagnosed. Both should then see the eye doctor annually. The foot exam is another important part of your diabetes basics. This one of the ABCs of diabetes reminds you that you need a foot exam at least annually. Good foot care can prevent ulcers and other complications. The foot exam will alert your doctor to the potential for complications and will provide an opportunity to educate you on how to prevent diabetic foot problems. Self monitoring of blood glucose is a very important part of your diabetic plan. Depending on whether you are type I or type II and how your control has been, your monitoring plan will be different. If you are type 1, you will probably be testing at least 3 times per day, while testing for type 2 will vary based on your goals. There are many things we can do to improve our health, especially when you have diabetes. In the ABCs of diabetes, H is for health maintenance, specifically immunizations. If you have diabetes you need to make sure you get vaccinated against the flu virus and the bacteria associated with a common type of pneumonia. Every diabetic over the age of 6 months should receive the flu vaccine every year. Diabetics should also receive the “pneumonia vaccine” at least once as an adult. If you were vaccinated before age 65, you should receive a second vaccine dose 5 years after your your 1st “pneumonia vaccine”. Samuel Abbate. Expanded ABCs of Diabetes. Clinical Diabetes 2009 21:128-132. The symptoms of diabetes can be non-specific. Diabetes can affect all parts of your body. 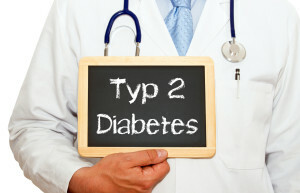 Most people with type 1 experience diabetes symptoms, while those with type 2 may not. If you experience any of these symptoms for more than a few days see your doctor. 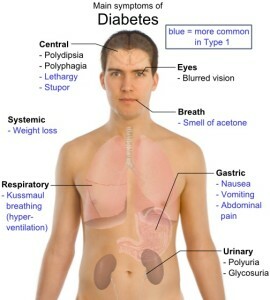 Symptoms of diabetes are similar whether you have type 1 or type 2 diabetes. While most people diagnosed with type 1 diabetes are identified in childhood and are symptomatic, many people have type 2 diabetes are unaware they have diabetes and are without symptoms or do not realize they have symptoms of diabetes because the changes are gradual. Do you feel that you are always headed to the bathroom? Frequent urination is one of the classic diabetes symptoms. However, many people have a hard time knowing what this really means. Frequency of urination depends on a number of things such as fluid intake, medications you are on, your age, and other health conditions such as an enlarged prostate. If you are urinating more than normal for you or if you are having to get up frequently at night (more than one or 2 times), this could be a symptom of diabetes. As a symptom of diabetes, frequent urination results from the glucose spilling into your urine and drawing water with it. Extreme thirst, hunger, and dehydration are all potential symptoms of diabetes. The frequent urination described above will eventually lead to dehydration. As a result of frequent urination, your thirst can increase dramatically. As a result of glucose being lost in the urine, your body gets less calories and you may potentially lose weight. Additionally, when blood glucose is elevated, your body is not able to use calories appropriately and weight loss can result despite feeling hungry all the time and voracious appetite. While weight loss is much more common as a symptom of diabetes in type 1 diabetes, some newly diagnosed patients with type 2 diabetes experience weight loss as a symptom of diabetes. When your blood sugars are high you just don’t feel right. Many times it is not until after a diagnosis and treatment begins that patients realize how fatigued they were. Additionally, dehydration from frequent urination and interrupted sleep can also contribute to this diabetes symptom. With poorly controlled diabetes, you may develop changes in the eyes that result in blurry vision as the initial symptom of diabetes. As a result, a number of patients seek care due to visual changes may end up getting referred to a primary care doctor to diagnose and manage diabetes. On the positive side, with good treatment and control of diabetes, vision usually gets better and does not progress further. Many patients have diabetes for a long period of time before a diagnosis. If you are experiencing tingling and numbness in your hands and feet, you have probably had diabetes for nearly 10 years. The symptoms of tingling and numbness is referred to as neuropathy. Similarly, fungal skin infections can occur in any warm, moist environment. Women may experience fungal infections under the breast or in the vaginal area. Uncircumcised men are also at increased risk of a fungal infection if the foreskin is not cleaned properly. Both men and women may experience ‘jock itch’ or athlete’s foot. While many of us could experience one of these infections, recurrence of these infections should make you consider this could be a symptom of diabetes and consider talking with your health care provider about diabetes. Likewise, elevated blood sugars impair wound healing whether from a planned surgical procedure or just cutting yourself in the kitchen. National Center for Chronic Disease Prevention and Health Promotion, Division of Diabetes Translation. Accessed December 12, 2012. Diabetes Public Health Resource- Basics About Diabetes. When you have diabetes and flu you are at high risk for flu complications. Your risk of hospitalization or dying from the flu is 3 times that for people without diabetes. Small actions everyday can decrease your risk of flu complicating your diabetes. Get a flu shot, not the nasal vaccination. See a doctor at the onset of flu symptoms. Religiously wash your hands or use hand sanitizer. While you may think you just feel bad like everyone else when they get sick, as someone with diabetes and flu, you need to be extra careful. People with diabetes are at higher risk of flu complications and dying from from flu compared to people without diabetes. If you are diabetic, it is not only be harder for you to fight off the flu virus, but it is also more difficult to keep your diabetes under control. Additionally when you are sick with the flu, you change your eating habits leading to to other challenges with your diabetic control. Why Am I at Higher Risk For Getting An Infection? High Blood Sugar- When your blood sugar levels are high, your immune system, the part of your body responsible for taking out infections, does not work properly. Nerve Damage- One of the long term complications of diabetes is nerve damage. The better you keep your diabetes under control, the less likely you will develop this complications. However, once you have developed nerve damage, you might not be able to feel pain in your feet. If you step on an object that cause skin damage, you might unknowingly damage your skin. This skin breakdown can then become a portal for infections to enter your body. The flu virus, however, generally is transmitted via the respiratory system as opposed to through a wound. Circulatory problems- Diabetes can damage blood vessels. When this occurs your body cannot deliver antibodies and other immune system components that help fight off infection effectively. The key to getting through diabetes and flu is to have a plan. You need to make sure you know what to do if you develop hypoglycemia or hyperglycemia. Know when to call your doctor. Make sure you and your doctor are on the same page about your diabetes plan. Why Can’t I Get The Nasal Vaccine? Because the nasal flu mist vaccine is a live virus vaccine, it is not recommended for people with weakened immune systems. The flu vaccine is well tolerated and flu vaccine side effects are uncommon and generally mild. When you have diabetes and flu you need to get treated quickly. Make sure you talk with your doctor about when to call when you have flu symptoms. A class of drugs known as antivirals are used to treat flu. Antivirals are important to decrease keep your diabetes under better control while sick. Antivirals are not available over the counter, so they only available through a prescription form your healthcare provider. What Do I Do If I am Exposed to Flu? If you have diabetes and you have been exposed to a family member, colleague, or anyone else with flu, you might want to consider chemoprophylaxis. Unlike treatment, your doctor may not offer chemoprophylaxis if more than 48 hours have elapsed since your flu exposure. It is also important to realize that chemoprophylaxis decreases, but does not totally eliminate your chances of developing the flu. You can keep yourself from getting the flu by getting a flu shot. People can come up with all sorts of crazy rationalizations for not getting the flu shot, but you are just putting yourself at risk. It does not matter if you have type 1 or type 2 diabetes, you need a flu shot and it is the single best thing you can do for yourself. Don’t delay… get your flu shot now. Protect Yourself from Influenza (The Flu). Accessed December 29, 2012. Centers for Disease Control and Prevention.